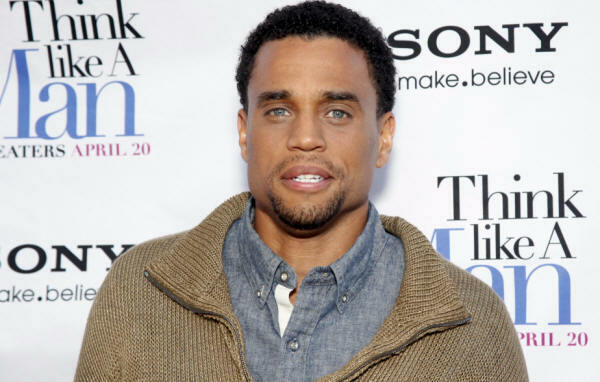 Born in Silver Spring, Maryland on August 3, 1973, Michael Ealy majored in English at the University of Maryland before heading to New York City where he performed in several stage productions, including the off-Broadway hits Joe Fearless and Whoa Jack. After finding his breakout screen role as Ricky Nash in Barbershop and Barbershop 2, Michael rapidly rose through the ranks as one of Hollywood’s emerging young actors. Since then, he’s starred opposite Kate Beckinsale in Underworld Awakening and opposite Matt Dillon, Idris Elba and Hayden Christensen in the action flick Takers, and he was personally picked by Will Smith to play his younger brother in Seven Pounds. He’s also portrayed a Buffalo Soldier in the Spike Lee World War II epic Miracle at St. Anna, and appeared in For Colored Girls with Kimberly Elise, Janet Jackson, Thandie Newton, Whoopi Goldberg and Phylicia Rashad. On television, Michael is set to co-star in the new detective series, “Common Law,” which debuts on the USA Network on May 11. His other TV credits include stints on “The Good Wife,” “Californication” and “FlashForward.” As for accolades, a stellar performance on the Showtime miniseries “Sleeper Cell” earned him a Golden Globe nomination. In addition, he was cast by Oprah Winfrey to star opposite Halle Berry in the made-for-TV movie “Their Eyes Were Watching God,” landing the first of his three NAACP Image Award nominations for his sterling performance in the picture. Here, he talks about playing Dominic in his latest picture, Think Like a Man, Steve Harvey’s battle-of-the-sexes comedy which is currently #1 at the box office . 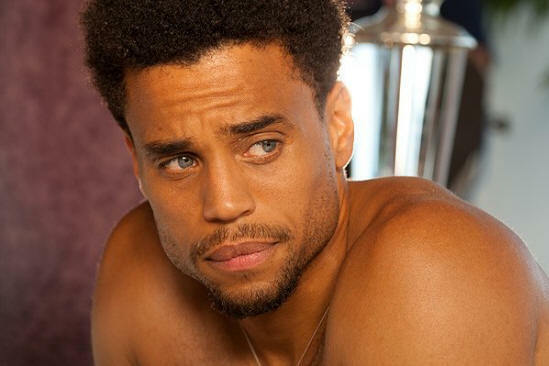 Michael Ealy: Hey, Kam, how’s it going, dude? KW: Great, thanks. 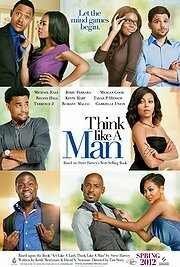 What interested you in Think Like a Man? ME: Honestly, it was the first romantic comedy that I liked. I’d kind of avoided them for awhile because I never felt that any of them were really smart enough. But when I read this script, I genuinely fell in love with the characters, especially my own. So, I just wanted to be a part of it. KW: Harriet Pakula Teweles asks: How flattering or unflattering to the image of the black male are the “types” that the actors are asked to portray in this film? ME: That’s another great thing about this picture. Yes, the cast is predominantly African-American, but color is never really an issue in the film. It’s rarely brought up since, at the end of the day, these guys are going through universal relationship issues that anybody can relate to. So, while the characters like “The non-committer,” “The Player,” and “The Dreamer” might be recognizable as common stereotypes, color isn’t involved. KW: Attorney Bernadette Beekman asks: Did you do any preparation for your role as a food service worker by spending time in restaurants? ME: The irony is that I spent five years as a waiter at a restaurant in New York City at the beginning of my acting career. So, I had a little bit of experience in food service. Fortunately, I didn’t actually have to prepare anything on camera in the movie, which saved me from having to take any cooking classes. [Chuckles] But I always appreciate a good chef. KW: How did your parents feel about your becoming a struggling actor after help putting you through college? Did they ever pressure you to abandon acting for a more practical profession? ME: No. my parents, God bless ‘em, were very supportive of me and my decision to pursue acting. Their dream for me and my sister was that we graduate from college. And as soon as I fulfilled that, they were extremely supportive of what I wanted to do next. I will always be grateful to them for that, because I wouldn’t be where I am today without their help and encouragement. KW: How hard was it working with an ensemble cast with so many big stars? Was it hard to get a little elbow room to do your thing? ME: No, it felt a lot like my first movie, Barbershop, which was also an ensemble film, and which was also directed by Tim Story. So, it was sort of like a ten-year reunion. KW: Tell me a little about your new TV series, Common Law. Since it’s a cop series revolving around black and white partners, it sounds a little like Psych, which is also on the USA Network? ME: [Chuckles] It’s nothing like Psych. It’s an action comedy about two detectives who are really good at what they do. But they have different approaches to the work and to life in general, and that creates conflict and bickering and fights, sometimes. What happens is that their captain decides to send them to couples’ counseling in order to keep them together, because they always get their man. They basically just need a little help in getting along. What makes it funny is that the characters end up having a lot of the same issues as the married couples they’re in therapy with. KW: Editor/legist Patricia Turnier asks: If you weren't acting, what career path would you have chosen? ME: I’d have been a teacher. KW: Much appreciated! The Tasha Smith question: Are you ever afraid? ME: A couple of days ago. ME: The Power of Now by Eckhart Tolle. ME: I love breakfast. I can make a mean omelet. ME: Passion, ambition and talent. ME: [Laughs] Man, I could get in trouble if I answer that one. ME: [LOL] When I bought my house in L.A., that was the best business decision I ever made, until the housing market crashed, and it became the worst business decision I ever made. ME: My third birthday party. ME: This is such a great question. For me, my first big heartbreak is actually sports-related. My senior year, I became the starting wide-receiver on my nationally-ranked, high school football team as a walk-on. We have a good season, make it to the playoffs, and are on the verge of three-peating as state champs, when the coach decides to go to a two tight-end offense which suddenly makes me a non-factor. Then, the team went out and got spanked on our home field. I’ll never forget how I cried after the game, because I’d been denied the opportunity to help the team in the championship game, even though I had played a big role up to that point. It was like the coach forgot what had gotten us there. So, I never got to hold the trophy or savor a state championship. And I’ll never forget that first bitter heartbreak. I remember feeling devastated and going to church the next Sunday. My mom spoke to the pastor about it and, from the pulpit, he asked the congregation to pray for me. That did make me feel better, like I wasn’t alone. That was my first heartbreak. So, to answer your question, my first heartbreak devastated me, but it was the support of my family and my second family, my church family, that helped me understand that it wasn’t my fault, and that everything was going to be alright. That helped me tremendously later in life because in this business, as you surely know, Kam, there are a lot of things beyond your control. ME: [Reflects for a long time before responding] I’d say two qualities: perseverance, because you can not be successful without confronting rejection and, second, studying. You have to know your craft. I find that most people who are very, very successful know their craft and have done the research. KW: Secondly: What do you wish other people would note about you? ME: That I don’t think as highly of myself as some people make me out to be. I am so far from arrogant, because I have been through enough to know that everything can go away in a moment. You know, I really don’t understand why anyone would want to put me on a pedestal. ME: I have a number of charities I work with. I’m a big advocate of two in New York City, the Urban Arts Partnership and the Harlem’s Children’s Zone. What Geoffrey Canada has built in Harlem is something special. Honestly, he’s a hero of mine in a lot of ways. Really! KW: I’ve tried to interview him, but have never been able to get him on the phone. Can you hook me up? ME: Yes, that man’s very, very hard to get in touch with. But he’s a good friend, so I may be able to help. ME: Study your craft, first. Then explore the business side. If you can commit to mastering both, then you’re ready to pursue acting as a living. I really want people to understand that you can’t take shortcuts. ME: One of my heroes is Mr. Sidney Poitier. In his autobiography, “The Measure of a Man,” he talks about the difference between being a great person and being a great actor. I’m happiest when I’m acting, and I’ve dedicated my life to it. Still, as much as I love acting, at the end of the day, I want to be remembered as a great person, first, and as a great actor, second. I believe that acting is a talent while being a great person encompasses so much more: being a good father, a good husband and the ability to show compassion for others. There’s nothing more rewarding than making a difference doing charity work or being able to be there for a friend. KW: Thanks again for the interview, Michael. It’s been an honor. Good luck with Think Like a Man and with Common Law. ME: Thank you, Kam. This was special. Your questions were phenomenal. A lot of people clearly don’t do the same amount of preparation as you. So, I really appreciate it.